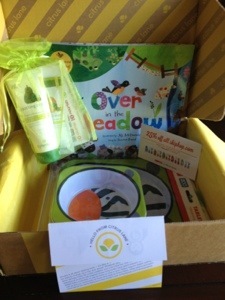 Citrus Lane is customized by your child’s age, You enter general information about your child(ren) and they will create a box for you based on their monthly theme taking your kids age and I believe gender into account. I ordered this box for my 2.5 year old. The price isn’t to bad at $25/month which considering all that is included and the fact that there are not too many boxes for the 18 to 36 month age range. 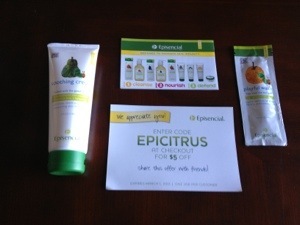 *Clicking through the links on this page will save you $10 on your order and I’ll get $10 of credit to Citrus Lane! Yeah! Citrus Lane is here! 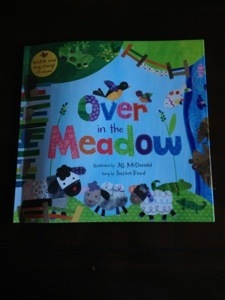 This includes a sing along CD, which I think is a really great way to make this book more interactive! 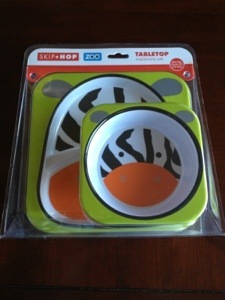 Skip Hop Zoo Plate & Bowls Set – $10.00 *this is a combination of individual plate and bowl prices because I couldn’t find the set on their website. I have been loving Skip Hop for a while now, they carry many innovative but still adorable items for babies, bathing, toys and mealtime. This is a super cute set from their new Zoo line and was inspected by the kiddo immediately after this picture was taken, he loves animal and nummy so this is a great combo! We are always happy to have new body or hand creme to try in these dry winter months, so this will definitely get used!! This creme is formulated with our parabens or any other of the “bad stuff” Yeah! 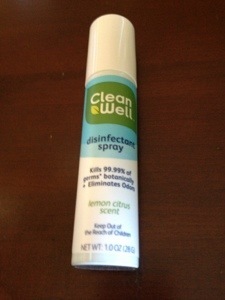 This will be awesome to keep in my purse, especially with all the germ covered surface we encounter out and about. The spray is suppose to kill 99.9% of germs 100% botanically on most surfaces. It does have a nice scent, not to overpowering, and I like that it does not have any harsh chemicals especially if the kiddo is going to be touching those surfaces after I spray! The approximate value of this month’s Citrus Lane is $41.63, this is just slightly lower than last month’s box, but still well above the $25.00 monthly. 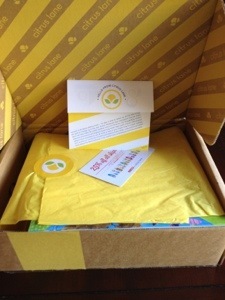 I am really liking my Citrus Lane Subscription and am currently planning on renewing at the end of my 3 months! I will probably have a case of ants-in-the-pants waiting for next month’s box! FYI – Clicking through the links on this page will save you $10 on your order and I’ll get $10 of credit to Citrus Lane!